Eve Bunting was born in Ireland in 1928 and moved to California with her husband and three children in 1958, were she has lived ever since. 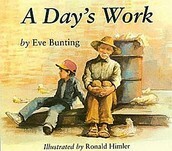 Bunting is an acclaimed author of both picture books and novels, and she has written a wide variety of over 100 books for young readers. She has addressed many sensitive issues, such as war, death, and homelessness, with eloquence in many of her books. The books listed below are suited for read aloud books in a K-2 classroom. 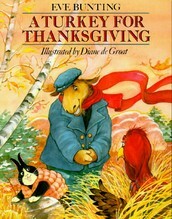 This is a witty book about a moose family’s Thanksgiving dinner. Mr. and Mrs. Moose invite all of their friends over for thanksgiving, Rabbit, Porcupine, Sheep, and Goat; the only one missing was a turkey. Mr. Moose and his friends set out to find a turkey to come to their Thanksgiving dinner; however, the turkey keeps running away because he thinks they want him on their table rather than at it! 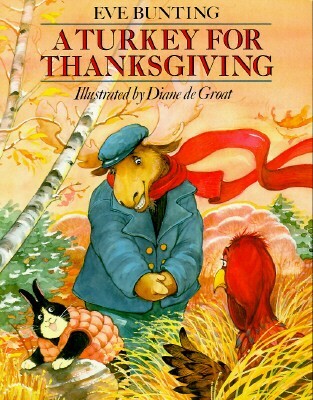 This would be a good book to read around Thanksgiving time to talk about different family traditions. It is also a useful book to discuss comprehension and basic literary terms such as metaphor and simile. Some of the irony and double meanings may go over some younger students' heads, but they could still make predictions and practice summarizing events. This book is based on a true story about a crate of bathroom toys traveling on a ship from China to the U.S. that was washed overboard by a storm. 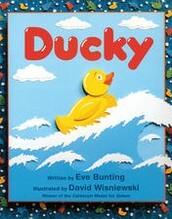 The story is told from the point of view from a resilient yellow duck as he floats across the ocean and eventually washes ashore on the coast of Washington, where a boy finds him and takes him home. This book could be used as a read-aloud book for various comprehension strategies. Students could discuss point of view, as well as the emotions the duck experiences along his journey and why. This book is about a young boy named Francisco who goes with his abuelo to help him find work for the day. His abuelo does not speak English so it is Francisco who makes the deal with a man seeking gardening work. Francisco is so eager to find a job for his abuelo and make some money for his family that he lies and says his abuelo is a fine gardener. The truth is revealed when they make a terrible mistake, and Francisco learns a valuable lesson about telling the truth and working hard. This would be a good read aloud book to cover the importance of honesty and work ethic in younger grades. This is a touching story about a seven-year-old girl, Anna, who teaches her grandmother how to read. 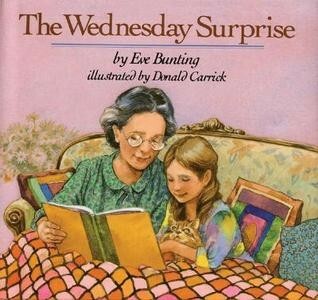 Every Wednesday her grandmother comes to stay with Anna and her brother for the afternoon, and Anna has spent that time reading lots of books with her grandmother. 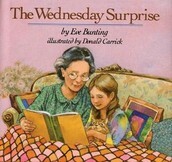 On her dad’s birthday, Anna and her grandmother surprise him with the best gift of all when the grandmother stands up and reads all of the stories she and Anna have been reading together. One could discuss how reading is something children can do with their families and how books can bring people together. It also reveals how children can be teachers, too. This story is about a sweet relationship between a mother elephant and her daughter. 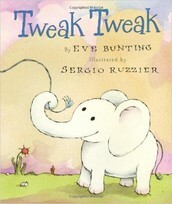 The two elephants go for a walk and the mother encourages her baby to “tweak” her tail twice whenever she has a question. The mother encourages her baby’s curiosity by answering all of her questions. The baby elephant is curious about all of the animals she sees on their walk and wants to know if she can do what they’re doing. 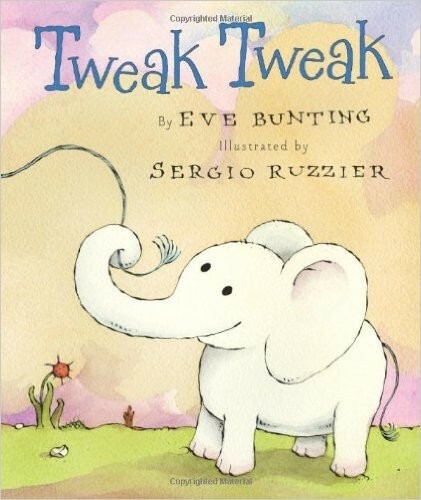 Even though she can’t climb in a tree like a monkey or fly like a butterfly, her mother cleverly emphasizes all of things she can do as an elephant, allowing her baby to realize all of the special talents she has. This book has a predictable and repetitive sentence structure that would be great for a shared reading. It is also good for teaching the message that everyone has something about them that makes them special. 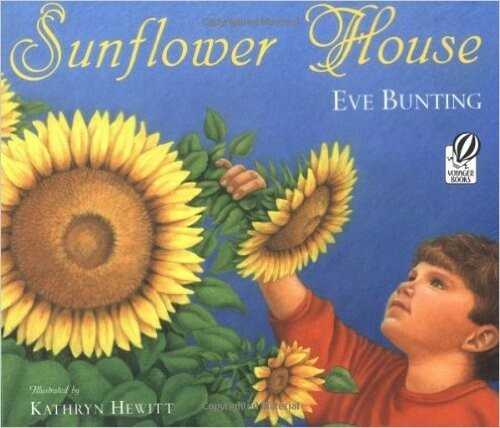 This is a book about a boy who plants sunflower seeds that grow into a sunflower fort for him and his friends to play in for the summer. When the plants begin to die, he and his friends take the seeds from the flowers to plant again next summer. The book encourages interaction with nature and imagination. This is a great book to integrate with a science unit on plants because it demonstrates the life cycle of a plant. This book also contains an apparent rhyming pattern that one can point out and discuss with students. 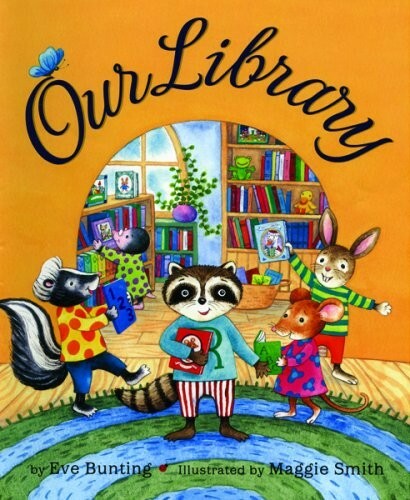 When the animal’s local library is about to close, the children work together and read books to figure out how they can save it. This story communicates the importance of libraries. It shows how much we can learn from books, as well as how reading brings people together. This would be a book one could read aloud to a K-2 classroom to talk about the importance of books and how we can read books to teach us new things.